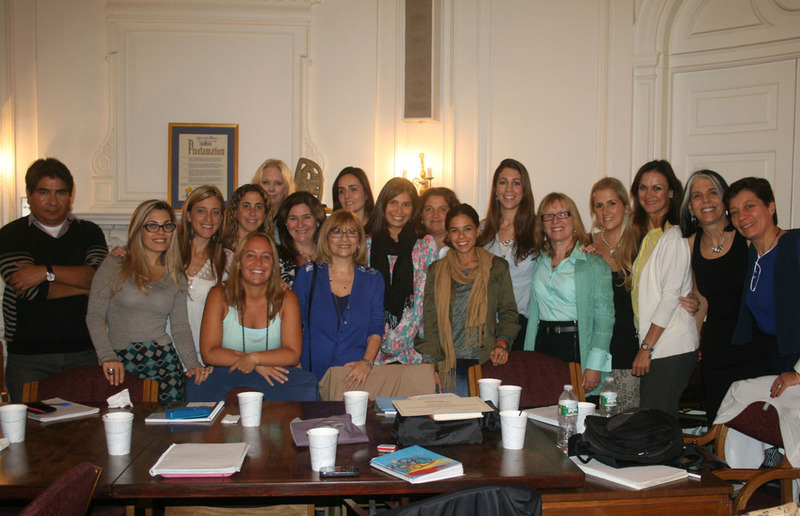 From May 6 – 17, 2013, 17 trainees from the Fundación AIGLÉ of Buenos Aires, visited New York to attend a two-week intensive training at Ackerman Institute. Fundación AIGLÉ is a non-profit mental health training facility located in Argentina, who have partnered with Ackerman Institute for many years. This year’s group of students came from several countries in South and Central America including Argentina, Chile, Guatemala, and Mexico. The two-week program immersed trainees in the Ackerman Relational Approach to family therapy, and included 19 different workshops taught by Ackerman faculty. Peggy Papp presented on her world famous sculpting technique, Jean Malpas presented his cutting edge work on gender and sexuality, David Kezur talked about the value of meditation in therapy, Evan Imber-Black presented on illness and family, and Fiona True and Marcia Sheinberg presented their work on relational trauma. There were many more presentations from a range of Ackerman faculty. For more than fifteen years, Ackerman Institute and AIGLÉ have collaborated on training initiatives. AIGLÉ hosts Ackerman faculty in Argentina, where they present on their areas of expertise while expanding the global influence of the Ackerman Relational Approach. The partnership is part of Ackerman Institute’s Community and International Training Department, which provides expert training in family therapy theory and practice to a number of partners in various countries. 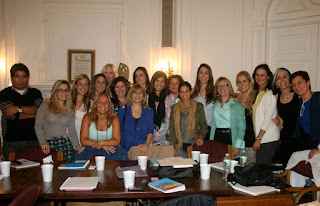 Learn more about International Training on Ackerman’s website.